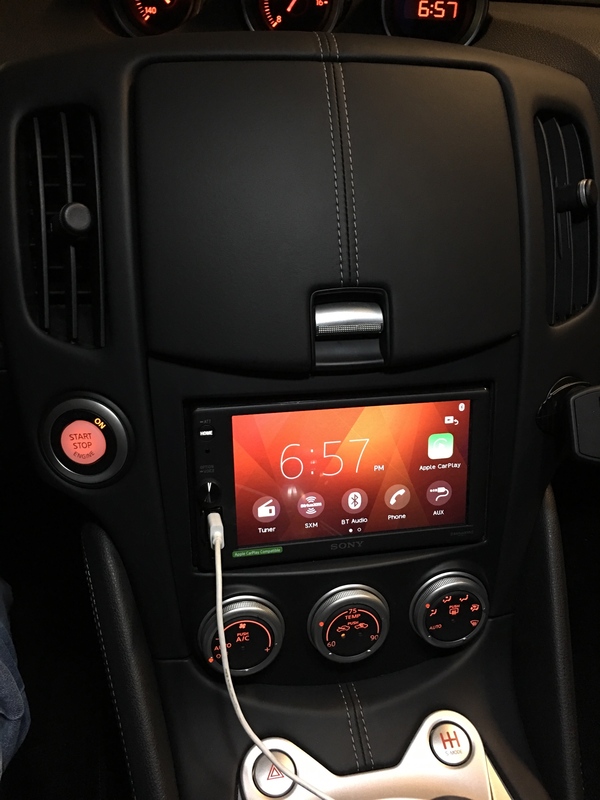 If anyone has this stereo, or the AX100, let me know if there were any install complications, and if I need anything else to install this on my 2019 Z with BOSE (no navi). Also drop your feedback on the stereo itself! I should be installing this over the weekend so I will definitely update this thread with my thoughts. Installed the AX1000 yesterday. So far I love it and I have no complaints. Apple CarPlay is amazing, and the highs sound loud and crisp. Got the steering wheel adapter to auto-program and the unit fit perfectly on the OEM Nissan mounting brackets. I DID NOT like the cheap Scosche dash kit and just ended up using the stock piece even though there is a tiny gap around the stereo. 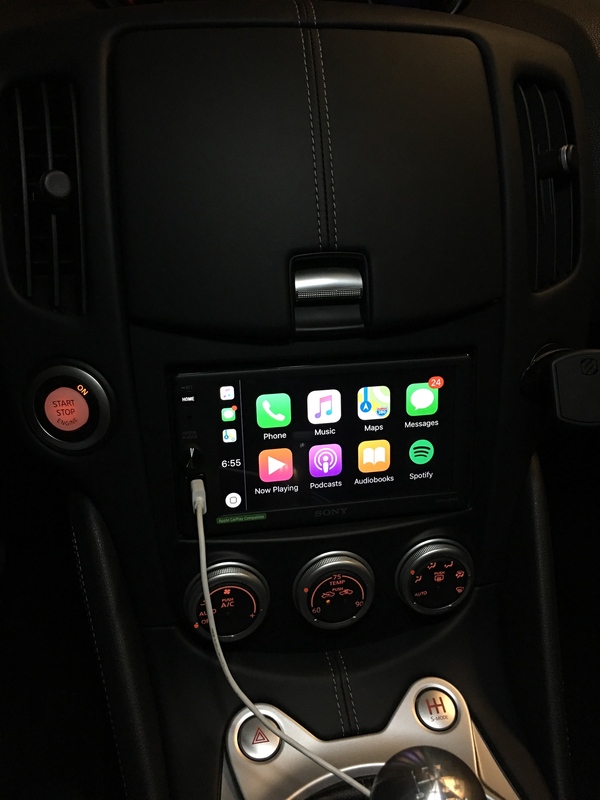 Is that face plate green APPLE CAR PLAY COMPATIBLE a sticker or screened onto the face? Because that crap has got to go. Similar to when you buy a home receiver and there ten stickers on the face of it. LOL. It's a sticker that I've removed after I took those pictures. Can you load your own background picture on the main screen"? Were you able to retain steering controls? I just picked up the AX5000 today and ordered all the parts. Any gotcha moments or challenges you had I should be aware of? Was this the same harness you used? I saw an older thread where someone was complaining that the pins didnt match from the Metra and their stock wiring. I just ordered an android deck and the Metra harness. If I hate it I'll probably go with the Sony deck too. Noticed you have a 2019 Z as well. Did you Metra harness plug into the stock wiring no problem? Thanks! You'll likely need to run a wire back to the factory bluetooth unit if you want the steering wheel voice buttons to activate google assistant (or whatever). They'll both do the same thing though, but better than nothing.